In my book, Out of Nothing, I have critiqued the usefulness of missio Dei as a theological foundation for birthing new churches. Roger Walton, for example, critiques fresh expressions of church as being too church-shaped in their mission (‘Have we got the Missio Dei right?’, Epworth Review, 35:3 (2008), pp. 42-43. ), whilst Michael Moynagh leads us through a discussion about how missio Dei as a characteristic of God can translate to our practice. However, I have recently come across an old journal article which proposes an alternative starting point, and is worthy of critique. In a journal article in the Anglican Theological Review (From Church-Shaped Mission to Mission-Shaped Church, ATR 92:1, 2010), Asian theologian (writing from an American Episcopal context) Christopher Duraisingh proposes an alternate framework. He is talking about the mode of transforming churches into becoming mission-shaped, rather than bringing new forms of church to birth. Central to this article are insights from Asian theology. Asia, which for so many years was the recipient of Western missional endeavour, can offer crucial insights into missionary engagement, and must not continue to be simply the recipient of Western theology. In doing this is quite rightly counters the idea of the church as colonialist and of spiritual insight being in one direction. He brings out five points from Asian theologians. First, start with the world not the church. In this he agrees with the statement from the Mission-Shaped Church report that ‘start with the church and the mission will probably be lost. Start with mission and it is likely that the church will be found.’ (p.124). Second, there is the conviction that God has always been active in Asia, long before the western missionaries arrived. Duraisingh cites Hyun Younghak, ‘I do not believe in an invalid God who was carried piggy-back to Korea by some missionary. God was already active in history long before the missionaries came’ (quoted in Niles, From East and West, p. 53, cited by Duraisingh, p.17). He advocates looking for the Spirit of God in historical and contemporary events. It is hard to disagree with this concept of God being present. However, he notes that this leads to a diminishing of the role of Israel as God’s chosen people in the Old Testament. Israel is seen as a symbol, not a mediator, of how God is redemptively at work different nations rather than as the nation through which God brings his salvation. I see this as problematic. Fifth, He highlights Asian theologians who identify Christ as a ‘decisive presence’ of God, and bringing in a ‘new order’ in creation. This new order is life in the Kingdom of God. Much human theology, he adds, has gone on to reduce this to be synonymous with the church. There is a question here of whether this is this Christ being active without being named. Duraisingh then moves on to his alternate framework, concursus Dei — divine accompaniment, rather than missio Dei. (p.20ff). He sees this a form of ‘everlasting creative-redemptive activity’. This is the form of God’s redemptive movement towards creation. In the incarnation, the ultimate expression of concursus Dei is expressed in Christ as Emmanuel, God with Us. ‘In this view, the incarnation is not an intrusion but the concretion into “human flesh” of the divine concursus’ (p. 21). God activity in Christ, in the life, death and resurrection of Jesus, are demonstrations of the pattern of God’s accompaniment towards new creation to new possibilities. God walks alongside us as Christians and in the church in bringing new creation to life amongst the old. However, I have major concerns about the uniqueness of Christ that this approach indiactes, and Christ’s necessity for salvation. These are core Christian doctrines. Concursus has much to offer to the way we engage in the world. Walking alongside is a good thing, but Christ did not come just to walk alongside. He came to save, redeem, restore. He appointed disciples to go out and “proclaim the good news”, and he appointed one of his disciples as ‘the rock on which I will build my church’. There is surely much that God is doing in encountering people within cultures and societies outside the church. In that, the church can accompany people, walk alongside them as they experience God in whatever way. But the focus much be Christ-centred. At the same time I have been reading Barbara Glasson’s, Exuberant Church. She is the Methodist minister who oversaw the founding of Somewhere Else, the ‘bread church’ in Liverpool, and she now coordinates a listening community in Bradford. She also sees the role of the church, of Christians, as a being alongside others through a process of transformation. She compares this process to the equivalent of ‘coming out’ that gay people experience. The church itself, in some way, is to come out of itself, to come away from the positions of power and the structures that the institution holds in order to be a prophetic witnessing community able to walk alongside. They are to inhabit the liminal space of transformation hat so many occupy. This coming out process for the church enables the church to be alongside those who are experiencing a coming out process of their own. Those who are in liminal places (she dislikes the language of ‘edge’ or ‘margins’) and, for whatever reason (disability, mental health, sexual orientation, ethnicity, homelessness) are unable to embrace the dominant narrative of contemporary society. Glasson talks about this position as a prophetic voice of the church. For her, prophetic means deep listening and dialogue, alongside a willingness to change. It is not clear where the prophetic role of speaking might fit into this position. Prophets speak into and challenge the culture. In fact later, Glasson writes “What I want to say to the church is, ‘Shut up, keep still and listen!’” (p.115). That prophetic communities might challenge the constructs of the church and society is clear. What is unclear is how that prophetic community might be challenging the culture of its own participants as they partake of their transformation or coming out. I would imagine that some of this would emerge from the discussion in creative ways as the Gospel transforms all involved in the dialogue. The concept that joins them is the idea of walking alongside — of listening. The key difference is that Glasson does not propose that this walking alongside alters the gospel message. It alters the church, but not the gospel. There is no hint of pluralism, unlike Duraisingh, and there is no suggestion Christ is not fully active within the transformation. Christ is present in the liminal place, in the transformation. 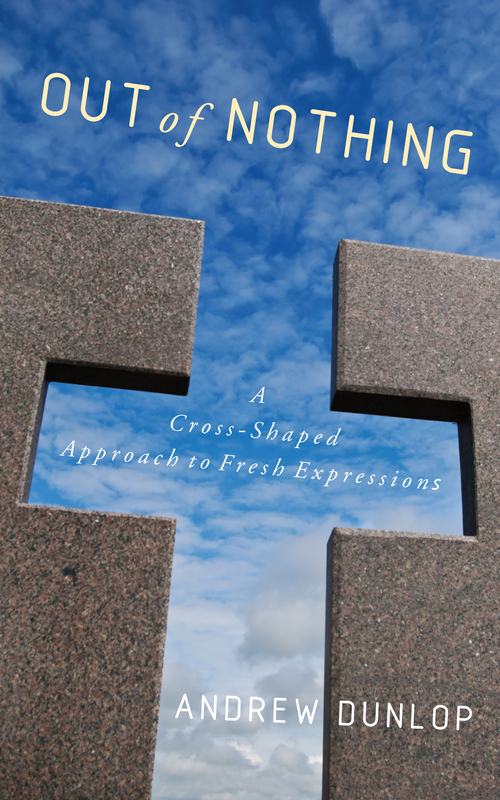 Whilst Glasson’s ideas can surely be critiqued, particularly in the place of proclamation, her approach to the church walking alongside in prophetic dialogue is more suited to culture, the uniqueness of the Christian message, and God’s willingness to transform. This entry was posted in books, ecclesiology, fresh expressions, mission, theology, Uncategorized and tagged Barbara Glasson, concursus Dei, missio Dei. Bookmark the permalink.